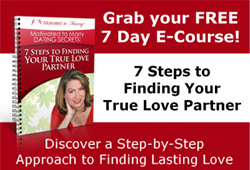 Why Hire A Dating Coach To Help You Find Lasting Love? How to Hire a Dating Coach: 10 Things You Need to Know! A Dating Coach’s Reflections on 12 years of her marriage! This past weekend was my 12 year wedding anniversary with Alan. This is a major milestone for me. My first marriage ended abruptly in year eleven when I was 36. So I had a huge gremlin about whether I would make it past eleven years in this marriage this time around. When is it time to seek relationship advice from a dating coach? I’ve been thinking about what keeps people from taking the steps to working with a professional and get the relationship advice that has proven results?